The Gull Lake Sailing Club is based on Gull Lake Michigan, just North East of Kalamazoo, Michigan. 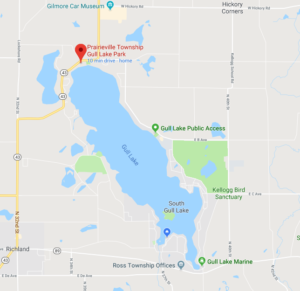 The point of entry is Prairieville Township Park on the North end of Gull Lake. If you are interested in purchasing an annual pass to the park, you can find the application form here. To see depth chart of Gull Lake, click here.